Objective: Promote and enhance PHC (primary health care) and FP (family planning) services for the poor people, especially the women and children. Major activities: Court-yard sessions on health & FP, hygiene; outdoor services, patient follow-up, pre and post natal care services and minor pathological testing, and special doctor’s programme. Implementation process: The programme is being implementing through the centers at MFP Branch Office. Family health cards are issued to the beneficiaries and other interested non-beneficiary households. 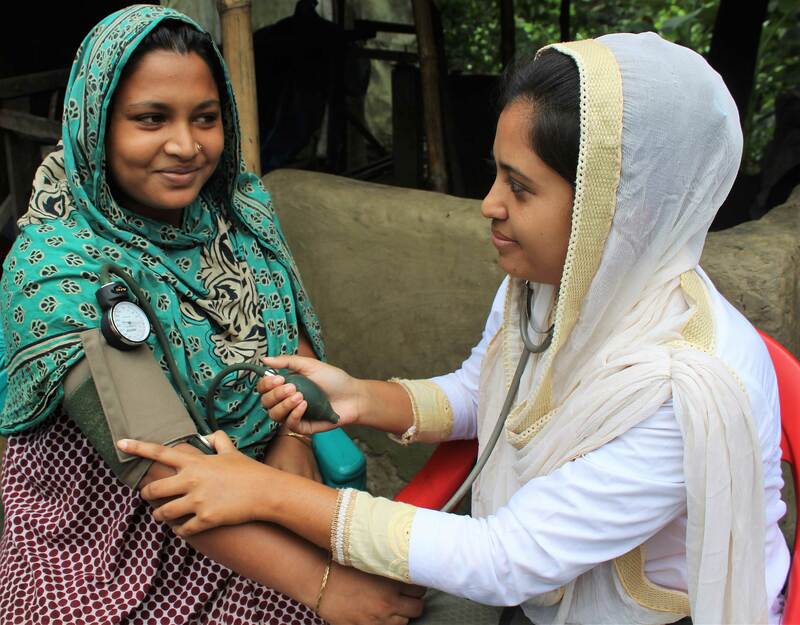 The paramedic conducts regular health sessions in the morning shift at community (groups), conducts sessions with pregnant women and adolescent girls. 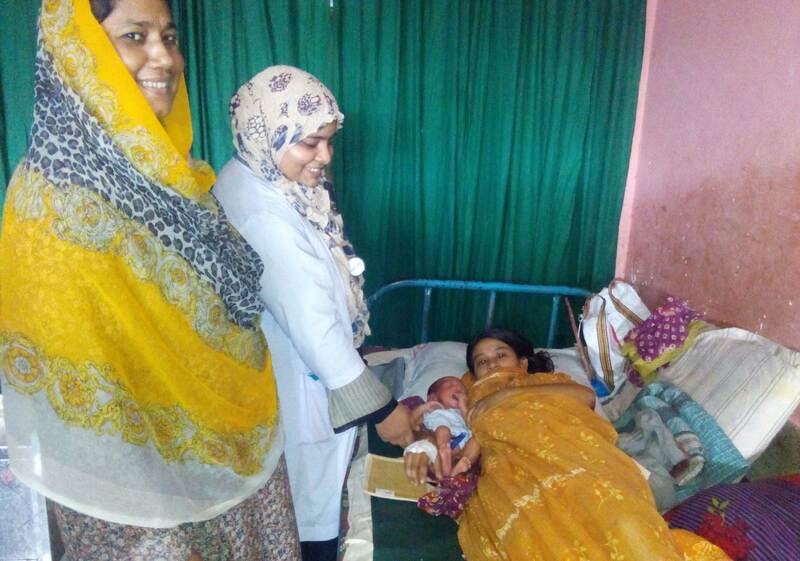 ANC, PNC & FP services provided in six days a week through out-door at the center in the afternoon through 18 units of 2 districts (Sirajganj and Bogura). Anyone can buy essential medicines and family planning contraceptives with a comfortable price. Source of fund: PKSF (MFP) and organization’s own fund. Objective: To ensure effective hospital services for the women and establish women-friendly hospital environment in service delivery for them. Major activities: Preparation of collective action plan for improve service delivery, conduction of seminar and workshops with different stakeholders, identifying and ensuring hospital resources for the patients and hospital service monitoring. Implementation process: The programme is being implementing under the direct coordination and guidance of the General Hospital Sirajanj with the technical supports from Naripokkho and linkage with the hospital management committee.